Ad Servers Vs Ad Networks, What’s the Difference? Browsing internet, watching videos or playing your favorite online mobile game, you see ads flashing everywhere. They are on every popular site you visit today and on every free trending app you download from the store. Not just websites, but advertising has spread its wings across devices; from your mobile phones to your Smart TV, and on your favorite media boxes like Roku or Apple TV! You see ads before and after every free video you watch on sites like YouTube. Video, display, social media, the formats are ample and these ads are even using new and innovative ways of telling a story in order to persuade users to buy their products and services. Ads are looking more and more like TV Advertising with every passing day. Ever thought why the ads are always so relevant and perfectly timed? Every wondered how you keep seeing the advertisement for hotels in Vegas on all the websites you visit, when you just finished researching about hotel rooms in Vegas on just one site? It’s like you think about something and it’s displayed right in front of your eyes, asking you to be consumed. We are heading towards a clever (or scarier) time where technology is being used to track, analyze and predict your behaviors and help different industry fronts monetize through powerful ad delivery. There’s an entire industry working behind getting the right ads displayed in front of the right audience at the right time; observing consumers’ every move. Part of this magic happens due to these websites, apps, video platforms (also called as Publishers) that use something called an Ad Server to track, measure and deliver Ads to the right audience, in the right format, at the right time. An Ad Server simply is a technology combination of ad software and server that stores, manages, tracks and delivers advertisements in formats like text, images (Static and animated), audio or video, across devices like websites, mobile sites and apps and on smart TVs. Advertisers and publishers (the websites and apps that deliver ads) manage their ads and reports from a given interface in the ad server. Ad servers also track various user activities such as (but not limited to) Location and Geography, Devices, Browsers, Operating System, Number of views, number of clicks, which advertiser’s ad is being viewed and if any actions are taken on the advertisers’ website (like filling a form or making a purchase) and generates report, so that the ads can be further customized for better serving and delivery of a better ROI to the advertiser as well as the publisher. Ad servers are also capable of displaying ads based on a predefined criteria like the visitor’s geography, so a visitor from USA will see a different ad vs a visitor from UK. The content of an Ad campaign can also be constantly changed so that every time an Ad is displayed to the same viewer, it’s a refreshed new ad, to avoid blind spots or fatigues. However, the main purpose of an Ad Server remains is to deliver targeted ads that match visitor’s interests. Ad servers can generally be classified into two types: Local Ad Servers and Remote Servers. Local ad servers are run by a single publisher for displaying ads on their own platform; whereas remote ad servers are run by a third party that helps in publishing ads from different advertisers to multiple publishers. 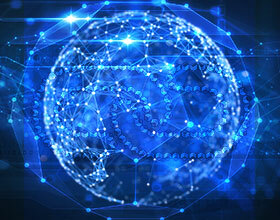 Remote Ad servers are delivered from one central source so that publishers and advertisers can track and rotate their advertisements from one location. The advertiser can purchase required inventory with the publisher and upload banners, ad links, and Ad rules to the Ad server. The Ad server then generates the Ad tag for each publisher or the ad network. Publishers then use these ad tags on their websites to display the advertisements through the ad server. When the ad is published, the advertiser can rotate multiple banners on the website through ad server, without even contacting the publisher, at the same time the publisher does not need to change the ad codes for each new advertiser or each new ad, they simply manage it all from the Ad Server itself. Some popular examples of Ad Servers are – Google DFP, OpenX, Broadstreet, Adzerk, AdButler, adColt, Revive, OIOPublisher, etc..
An Ad network is an entity that manages displaying ads from different advertisers across different publishers looking to host advertisements and monetize their platforms. An Ad Network is again an extension of an Ad Server Technology, used and implemented in a different way that allows more of a “Marketplace” scenario where various Advertisers can approach and upload their campaigns after looking at the category of Publishers and their past performances. Simply put, Ad networks work as the middlemen between sellers (publishers) and the buyers (advertisers), freeing publishers from setting up their own ad sales team and Advertisers from the headache of managing & recruiting multiple publishers. Ad networks manage end to end tracking and reporting of the ads and also decide what advertisement is to be displayed where as per the advertiser’s rules. Ad networks also handle the headache and pains of paperwork as well as invoicing and billing, thus freeing advertisers from all these additional efforts. Ad networks are beneficial to all three parties involved as the advertiser pays a certain amount when a potential buyer clicks on his/her ad (or a set CPM/CPC or CPA), while the publisher and Ad networks take a percentage. For example if an advertiser pays $3 for every click, every time the ad is clicked, the publisher takes $2 and the Ad network takes $1. Affiliate Ad Networks – These are majorly Rev Share based campaigns, Advertiser only pays when a visitor views, clicks, visits the website and makes a purchase. So, What’s the Difference Between an Ad Network and an Ad Server? While ad server is a technology that lets publishers and advertisers manage their ads by themselves, from setting up the ad server to tracking and managing their ads, Ad network is a company that helps advertisers find the right publishing platforms for their ads. An Ad network sets up the CPM/CPC/CPL/CPA, collects inventory and distributes it across relevant platforms based on various analytical data performed by themselves. An ad network, unlike an ad server has its own tracking, reporting, managing and publishing system that keeps buyers and sellers away from the worry of managing ads. Ad servers on the other hand are a part of Ad networks. How should your setup be? Irrespective of the fact that you are an Advertiser or a Publisher, Ad Servers give you more control over the way Ads are displayed on your platform or on the publisher’s platform and lets you track a host of parameters at your fingertips. Ad Servers also let the publisher work with multiple advertisers as well as ad networks without having to change anything on their platform from the coding and development side, automatically delivering the best performing and highest revenue earning ads to the viewers first. It’s a good idea if you are an advertiser or a publisher to first setup your own Ad – Server and then approach advertisers or ad networks to help you run and manage your inventory. This option gives you a lot of freedom and flexibility at the flick of a button; however, you might need to hire an expert who can run and manage your Ad Server. If you wish to stay away from the headache of hiring a resource and running and managing your own ad server, you can directly approach an Ad Network and work with them exclusively. The only drawback you might feel as a publisher is, if the ad network does not give you the best value of your ad inventory, switching to someone else is a complex headache which may include updates to your website and apps in terms of inserting new ad-tags. Hope this blog was helpful in explaining the core differences between an Ad Network and an Ad Server, and how your configuration should be. We at Muvi, believe in giving all the power to our clients (publishers) and hence have integrated with Ad Servers, not just one, but three of the leading Video Ad Servers in the industry today – Google DFP, YuMe and SpotXchange that not only allow you to run and manage your own ad-inventory and sell your own ads, but also integrate with multiple Ad Networks at the same time, thus allowing you to ensure maximum fill rates for your video inventory! Let us know in the comments below your thoughts, suggestions and feedback, you can always tweet us @Muvi with the same. 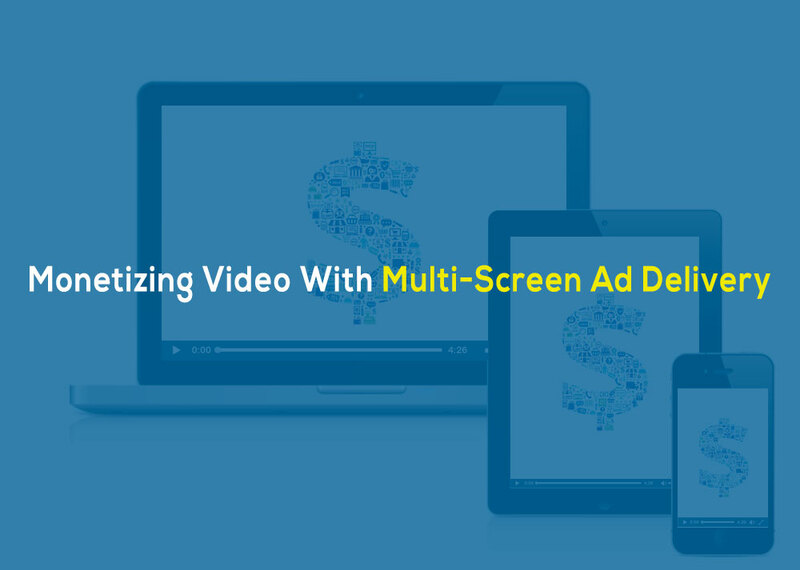 Muvi Studio Adds Out-Of-The-Box Support for "Video Ads (AVOD)"